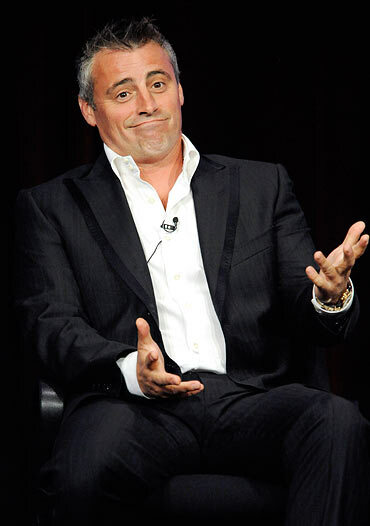 Matt LeBlanc's hair is all salt and pepper, but the actor insists it's been that way for a long time now. 'I dyed my hair the whole time on Friends,' Usmagazine.com quoted him as saying at a Television Critics' Panel in Beverly Hills for his new Showtime series Episodes. 'I just was sick of doing it,' he added. In wake of Mel Gibson's domestic abuse scandal, Inception star Leonardo DiCaprio has reportedly pulled out of the disgraced actor's next project. DiCaprio was due to star in Gibson-directed flick about Vikings. A source close to DiCaprio said the actor did not want to risk his reputation. 'Leo has earned the right to pick and choose who he works with, and Mel Gibson is not one of them,' the New York Post quoted a source as telling Radaronline.com. DiCaprio, who is fascinated by Viking culture, was due to play one in the as-yet untitled project, which was due to begin filming in the fall. 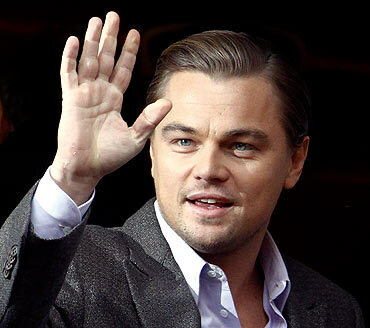 Gibson's Icon Productions and Graham King, who directed DiCaprio in The Departed, were producing the movie. The decision has come as a major setback for 54-year-old Gibson, who is facing allegations of domestic abuse and child endangerment by ex-girlfriend Oksana Grigorieva. Three time capsules are being created as a tribute to late Beatles legend John Lennon to mark what would have been his 70th birthday and to preserve his legacy. The capsules, which will be stored at the Rock and Roll Hall of Fame, will be reopened in 30 years' time on October 9 2040, to mark the centenary of Lennon's birth, the BBC reported. They will contain music from his post-Beatles career, and the public will be encouraged to submit ideas about what should be included in the time capsules to help preserve Lennon's legacy over the next 30 years. Fans have until September 15 to submit birthday wishes, music performances, artwork and other dedications for inclusion in the capsules, which will also include newly restored prints of the musician's LP artwork and a newly commissioned essay on his career. 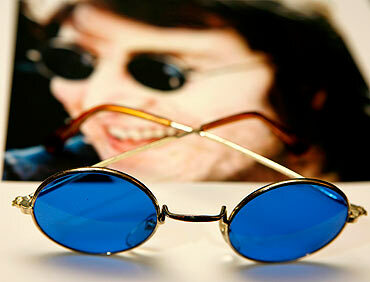 Lennon's widow Yoko Ono has said she is "delighted" to support the project. Actress Mia Farrow and model agent Carole White are set to testify next month over claims that supermodel Naomi Campbell accepted a 'blood diamond' from Charles Taylor. The women's names are on a witness list for Monday, August 9, that the prosecution in the former Liberian president's war crimes trial filed with the court in The Hague according to court papers. The prosecution says both women have agreed to testify about the late-night gift allegedly presented to Campbell after a celebrity dinner hosted by then South African president Nelson Mandela in September 1997. Campbell herself was subpoenaed to testify about the events, after refusing to talk to prosecutors voluntarily, and is due to take the stand in The Hague. Taylor, 62, has been on trial since 2008 for his alleged role in the civil war in Sierra Leone, accused of arming rebels in return for illegally mined diamonds. White and Farrow, who were present at Mandela's dinner, claim to have proofs that Campbell was given a diamond by Taylor, reports the Telegraph. White told prosecutors she was present when the diamond was delivered, while Farrow "was told by Campbell the next morning about the gift." The prosecution alleges the rough diamond was among those Taylor had obtained from Sierra Leone rebels and took to South Africa "to sell... or exchange them from weapons." Meryl Streep and Tina Fey are set to play mother and daughter in a new comedy movie. The movie has been titled Mommy and Me, reports the Daily Star. It will be directed by Streep's The Devil Wears Prada co-star Stanley Tucci. 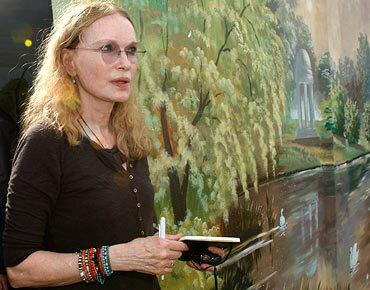 The movie will see both the actresses display the barbed relationship between mothers and their daughters. The 22-year-old High School Musical star has partnered with his manager Jason Barret to form Ninjas Runnin' Wild Productions. Efron has employed Fox network executive Jason Young as the head of development and Angie Edgar of Alchemy Production Group as his creative executive, reports Contactmusic. 'We're looking for stuff that is original, that doesn't necessarily have a brand associated with it. You can make something truly brilliant now and it doesn't have to be a remake,' Efron told USA Today. 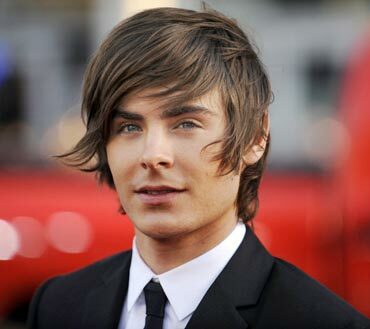 Company executives have a number of projects lined up already with Efron in lead roles. Beware of these vampire slayers!